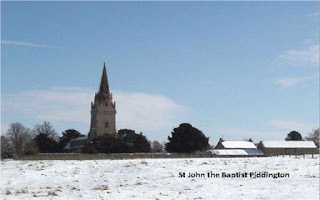 Tweeting Christmas The midnight mass congregation on Christmas night at St John the Baptist, Piddington with Horton, looked delighted when I invited them to get their smartphones out and tweet the sermon #christmasstartswithchrist. Especially the group in their early twenties who had come straight from the pub and weren't used to going to church. Their pleasure was expressed vocally, and why not? 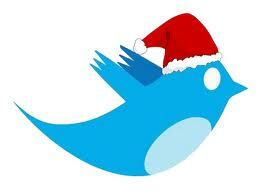 Joining in with the Sermon tweeting project for Christmas challenged me to think hard about what the message was this year. 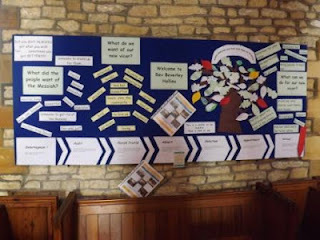 Taking Hebrews 1:1-4 and John 1:1-14 as preaching texts, this was the word that was tweeted by various good people in Piddington church this year. A sure sign that Advent is upon us, heralding the start of Christmas for all of us in this Parish is the annual Horton Christmas Tree Festival. 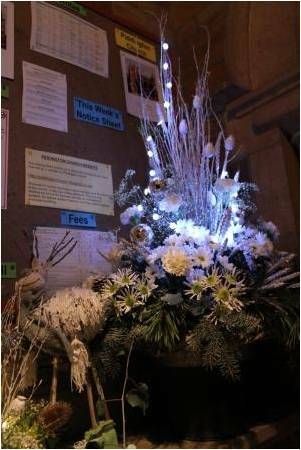 This year's event (on the 1st and 2nd December), saw Piddington Churchpacked with treesdecorated by members of the local community based on the theme of 'films'. The breadth of creativityand interpretation of the theme on display always amazes and is testament to many hours of preparation. 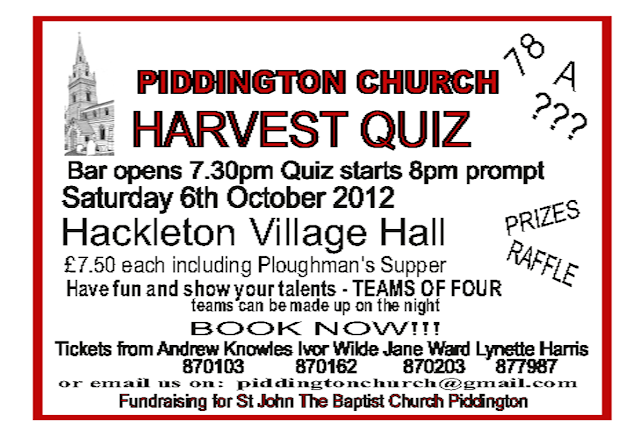 The church looked fantastic and a big thank you is extended to everyone involved in putting on the event. The festival finished on a high note with a Christmas celebration of carols and verses, which would have left even Ebenezer Scrooge eagerly anticipating the Christmas! Christmas is a busy time for us all, but it is important that in the midst of all the frantic activity we take time to reflect on why we are celebrating Christmas. Come and join us in all or some of the activities we have planned for Christmas and take a moment or two to capture the true spirit of Christmas. On Saturday 24th of November, many parishioners gathered together at St Edmund, the Martyr, Hardingstone to witness the licensing of our new Parish Priest, the Reverend Beverley Hollins. It was a joyful event and lovely to see the church packed to capacity. We welcome Rev'd Beverley and her family to our Parish. Thank you to all the people who helped in the preparations and on the day itself, to ensure a memorable day for all. 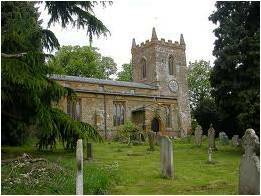 St John the BaptistChurch, Piddington is holding a coffee morning on Saturday 1 December from 10am till 12 noon.Join Freddy, Jo and the girls for tea, coffee, cakes and a catch up at The Villa15 Main Road, New HackletonThis event is in aid of PiddingtonChurch. November 24th 2012Come and join us at St Edmund, King and Martyr, Hardingstone at 2 pm when Rev’d Beverley Hollins will be licensed asPriest in Charge for our Benefice. We look forward to welcoming Beverley and her family to our Benefice and hope they will all be very happy here.